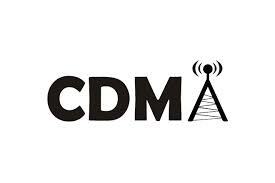 CDMA (Code-Division Multiple Access) is a channel access method used by various radio communication technologies. It is a form of multiplexing, which allows numerous signals to occupy a single transmission channel, optimizing the use of available bandwidth. CDMA is an example of multiple access, where several transmitters can send information simultaneously over a single communication channel. This allows several users to share a band of frequencies. To permit this without undue interference between the users, CDMA employs spread-spectrum technology and a special coding scheme where each transmitter is assigned a code. The technology is used in ultra-high-frequency (UHF) cellular telephone systems in the 800-MHz and 1.9-GHz bands.